When you look as cool and feel as great as the Coahoma 6-piece reclining sectional, it’s easy to make yourself at home. 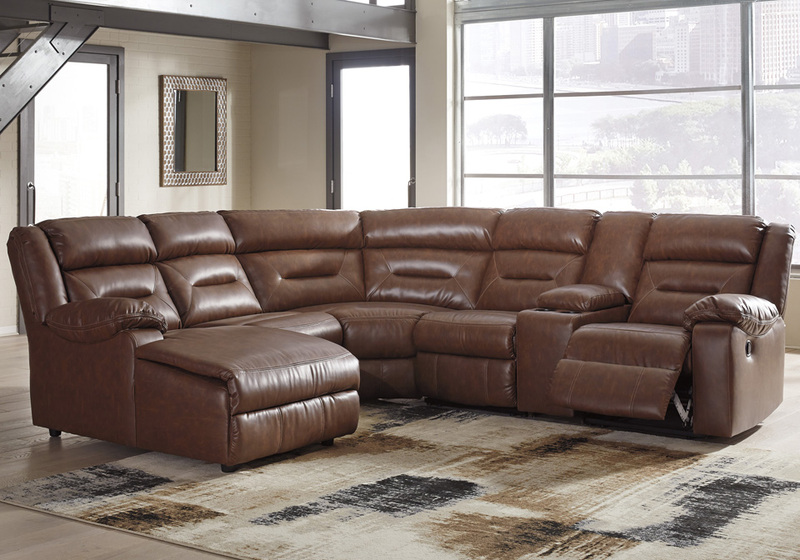 Proof that large-scale comfort doesn’t mean sacrificing high fashion, this decidedly modern sectional entices with clean lines, channel tufted styling and a gorgeous chestnut brown upholstery that’s truly faux leather at its best. With space efficiency in mind, the sectional’s zero wall recliner provides a smart way to recline by design. *The 6Pc. 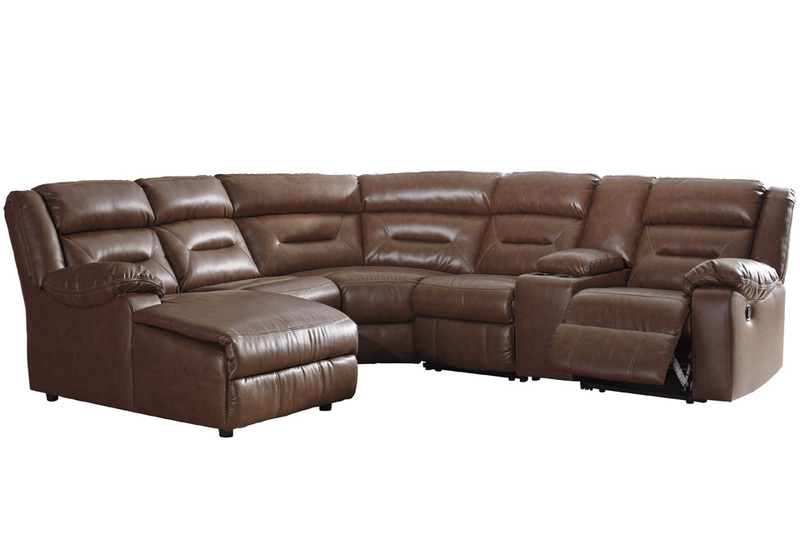 sectional consists of a LAF corner chaise, an armless recliner, a RAF zero-wall recliner, an armless chair, a storage console, and a wedge.